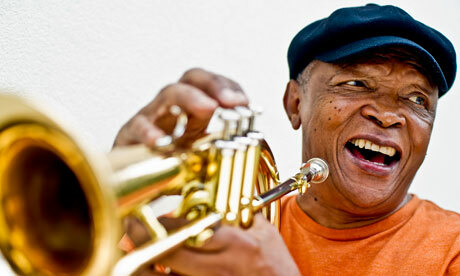 Bra Hugh’s Surgery Necessitates Cancellation! Bra Hugh’s management confirmed today that due to his upcoming surgery, and subsequent recovery period, his performances will be cancelled for the foreseeable future. This includes the Sunday, June 11th, Kaya FM & Bassline Live Present show at the Lyric Theatre. This performance was rescheduled as a Sunday matinee replacement for the previously postponed Friday, April 14th show at The Lyric. “Hugh fell and dislocated his right shoulder on the 7th April whilst in Morocco, and the fall exacerbated an old injury that Hugh sustained in 1993. This caused the initial rescheduling of the NO BORDERS album launch. In the subsequent recovery period the shoulder has not healed properly and this has necessitated a minor operation on Monday June 5th to repair tendon and ligament damage. After the operation the doctor has insisted that Hugh take an 8-week hiatus from ALL activity, to allow the shoulder to fully recover. This means no rehearsals or performances, no long-distance travel, no carrying or lifting of any kind and regular, weekly, physiotherapy. We fully support Bra Hugh in his decision to put his health first and wish him a speedy recovery. We look forward to hosting him on our stage soon. Full refunds will be given via Computicket to all fans who have purchased tickets. Stay tuned for forthcoming announcements as Bassline Live and Kaya FM continue to bring you the best that South African music has to offer at the Lyric Theatre at Gold reef City. Mother And Daughter Join Forces For A Music Night Celebrating Womens Creativity!